Girls on Ice Canada is a unique Canadian mountain experience that is packed full of dynamic glaciers, hardy alpine ecosystems, and beautiful landscapes. 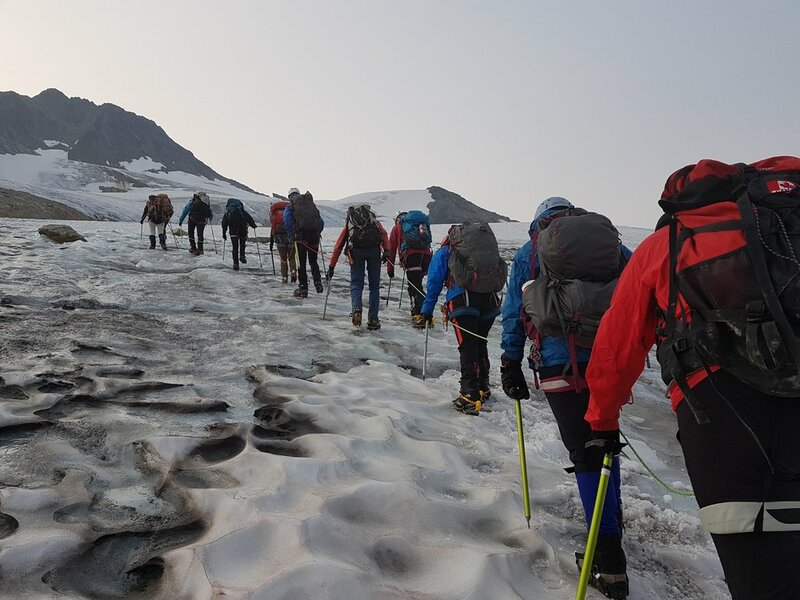 Accompanied by certified mountain guides, professional scientists, and artists, a team of ten girls explores the Illecillewaet and Asulkan glaciers in Glacier National Park in British Columbia. 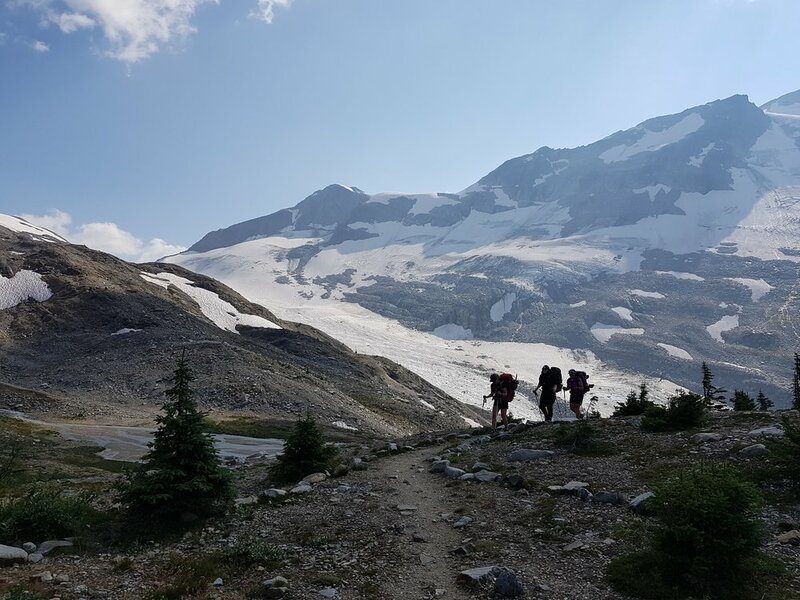 These glaciers provide a perfect environment for developing scientific observational skills, understanding relationships between organisms and their surroundings, reflecting on our own interactions with the mountains through art, building self-confidence in difficult terrain, and gaining life-long friendships. Day 1: Arrive in Calgary or Revelstoke and drive to meet the team in Rogers Pass, BC! Together we will learn about traveling and camping in the mountains and stay the night at the Illecillewaet Campground. Day 2: The first of several day hikes from the campground - these will let us get comfortable using our gear and begin the process of immersion science and developing observational skills. Day 3: Venture to higher alpine environments on another day hike. By traveling through the mountains, girls will gain essential technical skills and confidence in their abilities. Day 4: Deepen our relationship with this landscape by working on developing our science projects. We will also meet local artists and scientists. Day 5: Hike up to the Asulkan Hut - where we will base out of for the next 4 days. Days 6-9: Explore the glacier and surrounding mountains while learning about the ice and snow and the ecosystems that depend on them. One day we will make a summit attempt on Youngs peak! Girls will conduct their own science experiments as well as create art pieces that reflect their interactions with glaciers and perceptions of mountain environments. Overnight Asulkan Hut. Day 10: Hike out from the hut back to the trailhead and travel to the Biogeoscience Institute, in Kananaskis Country, AB. Day 11: Wrap up science experiments with a culminating presentation of the results at the Biogeoscience Institute in Kananaskis Country. Day 12: Final reflection activities and return to airport. The idea for Girls on Ice Canada began at a leadership development workshop offered by Inspiring Girls founder Erin Pettit in 2015. 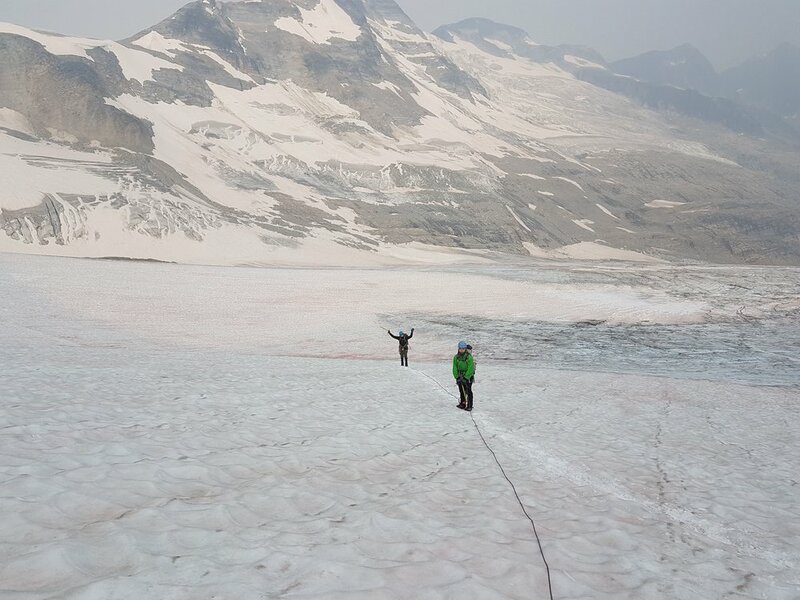 Girls on Ice Canada founders Eleanor Bash, Alison Criscitiello, Jocelyn Hirose, and Cecelia Mortenson launched the first Girls on Ice Canada in 2018, which emulates similar Girls on Ice expeditions while offering a Canadian alpine twist. To apply, you must be 16 or 17 on June 1, 2019. We currently accept applications from those currently living in Canada, regardless of citizenship.